When I was invited to have a mini facial and a makeover in CH Chemists during my time in Tralee at the start of June I was absolutely chuffed. It’s a place that holds a lot of memories for me as my then boyfriend ( now husband ) spent our first two New Years Eve’s together in The Brandon Hotel in Tralee many moons ago and that’s when I discovered CH Chemists for the first time. CH Chemists is a beauty lovers dream, it boasts a combination of your beautiful high end cosmetic counters such as Chanel, Estee Lauder and Clinique while also incorporating high street brands like Sleek, Catrice and Makeup Revolution. They also have a photo bar, a Beauty Salon, a Pharmacy and an Opticians on site, talk about a one stop shop!! 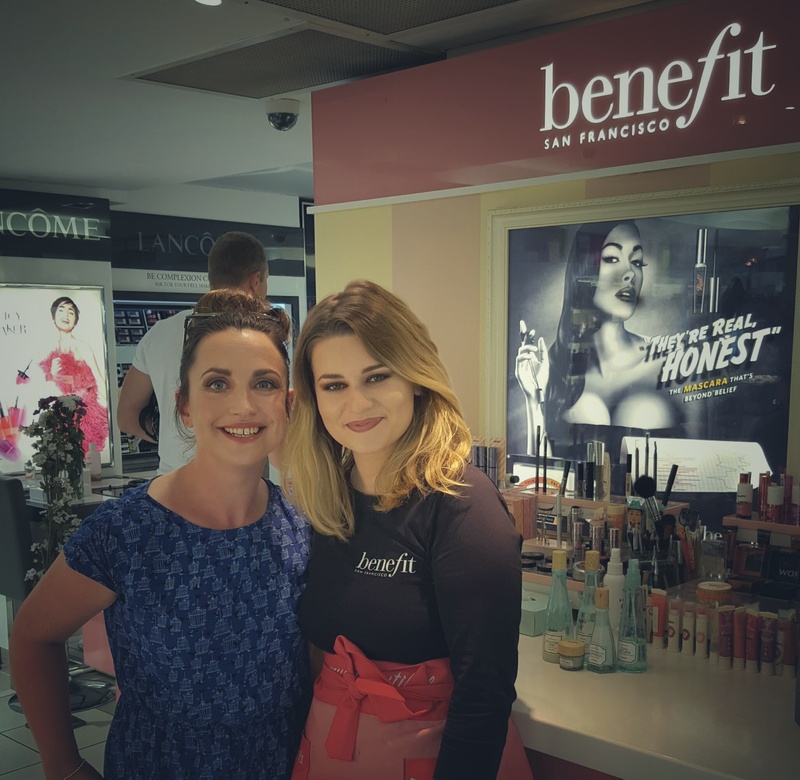 I was invited to the Benefit counter to spend the morning with the wonderful Aoife, I was excited because I don’t know too much about Benefit to be honest apart from being obsessed with their blushers and brow products like every body else but other than that I was fairly clueless. Aoife cleansed my skin using the Remove It makeup remover followed by the Moisture Prep toning lotion. Both products felt and smelt absolutely beautiful and they were so refreshing because it was such a sunny day outside it was well needed. She then applied Triple Performance facial emulsion as my moisturiser, this is an oil free moisturiser with an SPF 15 included, it felt really hydrating but was very lightweight at the same time which I personally prefer. Then came my personal favourite skin care product that she used, the It’s Potent eye cream. What a beautiful product this is, she applied it on one eye first and then showed me my face in the mirror and I couldn’t believe the difference between both eyes, the eye she applied it on looked brighter instantly, I couldn’t have believed there’d be as much of a difference. I definitely have this product on my list of must buys in the future. She then gave me a spritz of the Ultra Radiance Mist which is a hydrating mist that you can use after cleansing or throughout the day to give your skin a boost. This felt gorgeous, so refreshing and hydrating and again it smelt absolutely glorious. 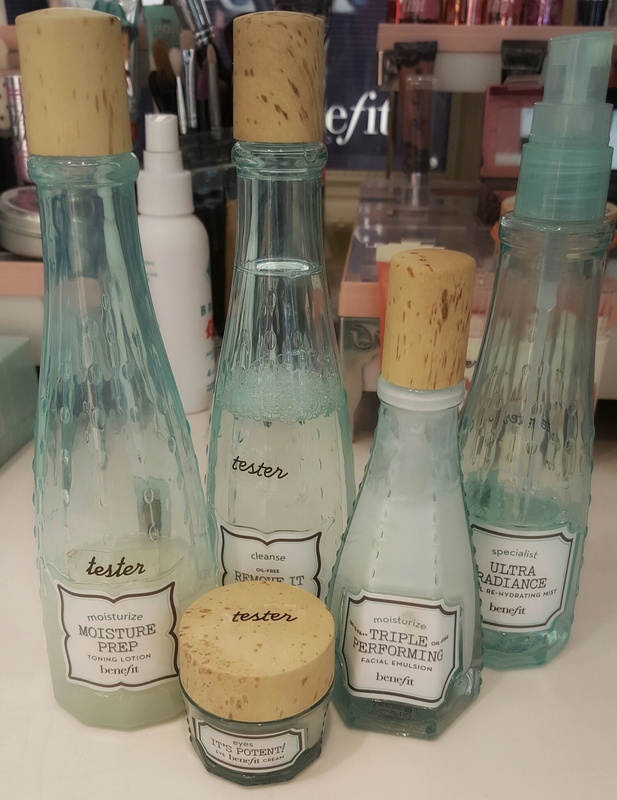 After this mini facial I think I’ve well and truly been converted to try Benefit as a brand for skin care, something that I don’t think I would have said before. Now onto my mug, she started as I would have myself with my brows, something Benefit Babes are renowned for making flawless, she used a combination of Brow Zings in Medium on the brows themselves and high brow eyebrow highlighter to accentuate the arches to make the eye look brighter, and more defined and Boing concealer in 01 around the brow area to conceal and shape the brows and the results were just fab. My eyes looked lifted and my brows looked full and shaped to perfection, nothing less than I would have expected. 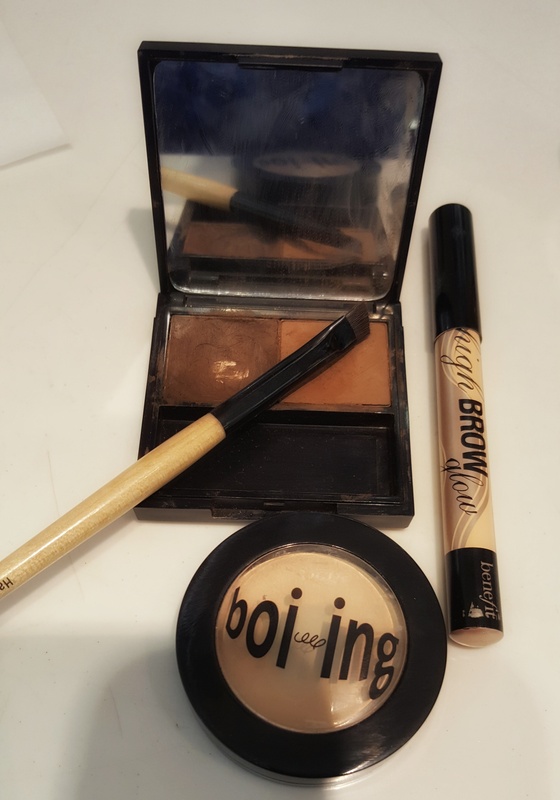 Onto my eye make up, she prepped my eyelids with Stay Don’t Stray primer in 01 and then used a combination of Hoola bronzer with the Big Beautiful Eyes palette as my eye shadow. 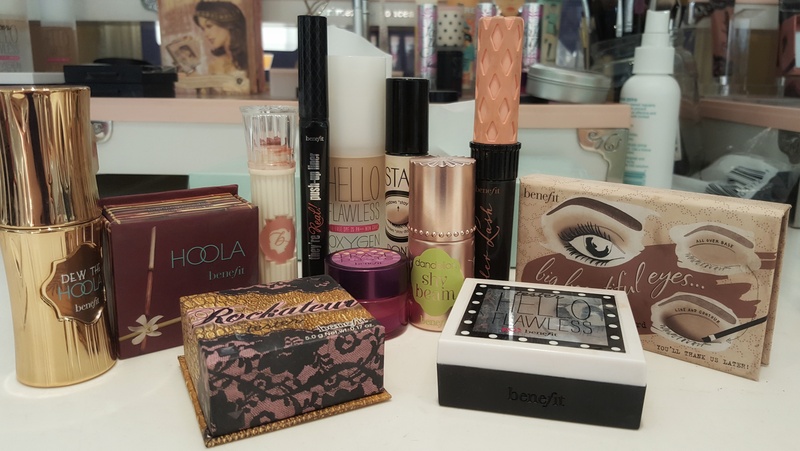 I would never have thought of using Hoola on my eyes ever but its gorgeous and I’ll definitely be doing it again in the future. The Big Beautiful Eyes palette is an excellent all rounder of a palette, incorporating Boing concealer in 02 along with 3 beautiful eyeshadow colours, Alabaster Pink, Cocoa Shimmer and Rich Chocolate Brown. With these colours Aoife created a lovely natural day time look but it’s easy to see how this could be upgraded to a night time look very, very easily. She finished off the eye look using They’re Real push up liner, now this is a product I’ve had problems using myself previously as it kept breaking off on me but Aoife showed me a few tips on the best way to use it so I now feel a bit more confident about trying it again. She then gave my lashes a coat of Roller Lash mascara and voila my eyes were complete. Finally on to my face, Aoife used Hello Flawless Oxygen Wow Foundation in Believe in Me Ivory. Again this is a product I had never used before and I really liked it. Firstly it has an SPF25 which is fantastic for a foundation, secondly this lightweight buildable foundation manages to give you great coverage while also brightening up the skin. She set it using Hello Flawless powder in Gee I’m Swell giving it a bit more coverage without being overly matte. Blusher was courtesy of Rockateur, one of my very faves, if you haven’t used this yet you need it in your life pronto. It’s a divine rose gold colour blush that has the littlest amount of shimmer running through it, it just goes with everything!! Dew the Hoola liquid bronzer from the new bronzing range was my contouring product and the beautiful Dandelion Shy Beam was my highlighter. What a beautiful product this is, now anybody who follows my blog or my social media pages will know how much I love my highlighter but this one is a litte bit special, it’s a beautiful, liquid, soft matte pink shade that complemented the soft dewy finish of my make up perfectly. It’s another one for the must have list I think!! Now with all the good must inevitably come some bad, the one and only product I didn’t like from the day was the lipstick. Aoife used Hydra Smooth lip colour in Wing Woman on me, a really gorgeous rose pink colour that I loved but it was honestly nearly gone by the time I left the shop, I didn’t find any lasting power in it whatsoever. Disappointing as I loved the colour and I was so happy with everything else. Oh well, you can’t win them all!! Overall my experience was so incredibly enjoyable, Aoife is a truly lovely girl, passionate about the beauty industry and her brand in particular and it’s very obvious that she loves her job but having spent time in the store I could really see why. 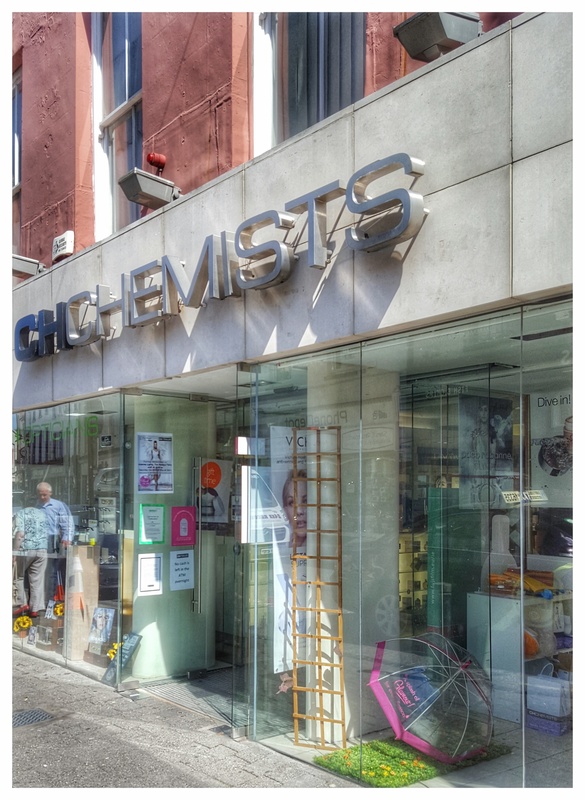 If you’re ever travelling to Tralee I would make it my business to call into CH Chemists because I’m sure you’ll find something you’ll love. And be sure to call to call to Aoife on the Benefit counter and tell her I sent you. All products are available to buy online with free delivery on all orders over €40 within Ireland.